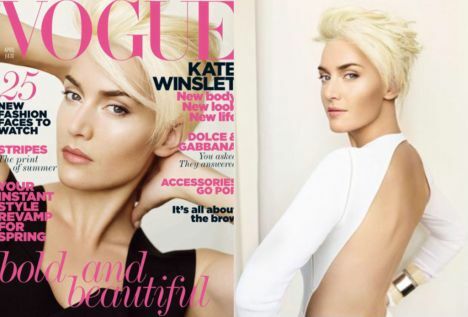 How amazing does Kate Winslet look taking over the cover of April’s Vogue? She has transformed herself from the serious red-head actress look to a style savvy fashionista! Her white blonde crop looks amazing with her slim facial features and shaped dark eyebrows. Obviously been swotting up on fashion and beauty tips! She’ll be on the catwalks next!